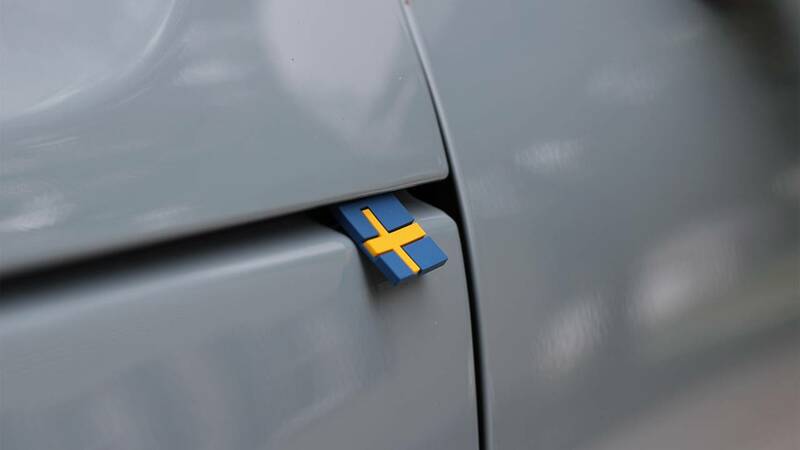 What is the Swedish flag doing sticking out from where the XC40's clamshell hood and fender meet? As far as I can tell, the little rubber flag is like a tag on a pair of designer jeans, meant to aggressively whisper your uniqueness to those who would notice. "Oh, your luxury subcompact SUV doesn't have a tag?" is what you say back at them with your eyes.